After GST was introduced on July 1st, prices of various products available have fluctuated. While many electronic devices have had their prices slashed, one product which went the other way is the Apple Macbook Air. More specifically, the model in question, is the Apple MacBook Air MMGF2HN/A 13.3-inch Laptop (Core i5/8GB/128GB/Mac OS X/Integrated Graphics). The Apple Macbook Air was retailing for around Rs. 55,000 to Rs. 56,000, until GST came in to effect. The Apple MacBook Air's price has increased from Rs. 55,000 to Rs. 63,000 after GST, on Amazon India. That is about a 15% increase in the price. As to the reason why the price of the Macbook Air has shot up substantially, it may be because the company released a new set of advised MRP prices for its devices. But, the price of the Macbook Air did not change at all. The previous MRP was at Rs. 80,990, while the retail price was around Rs. 55,000. So, if the new price is also Rs. 80,990, the price which the Macbook Air should retail for should be lesser, if not the same. 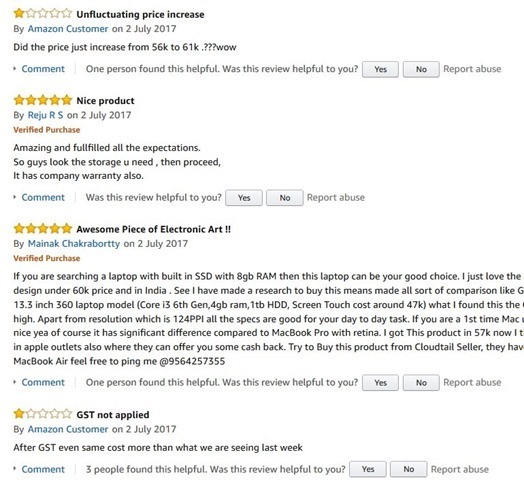 And we are talking about the lowest price for the MacBook Air right now, the price is much higher on Flipkart, Chroma and other stores. 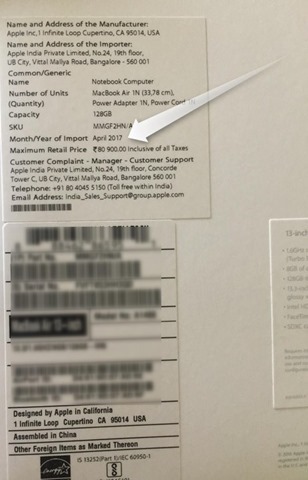 Apple MacBook Air price increased in India after GST, shoots up from Rs. 55,000 to Rs. 63,000.